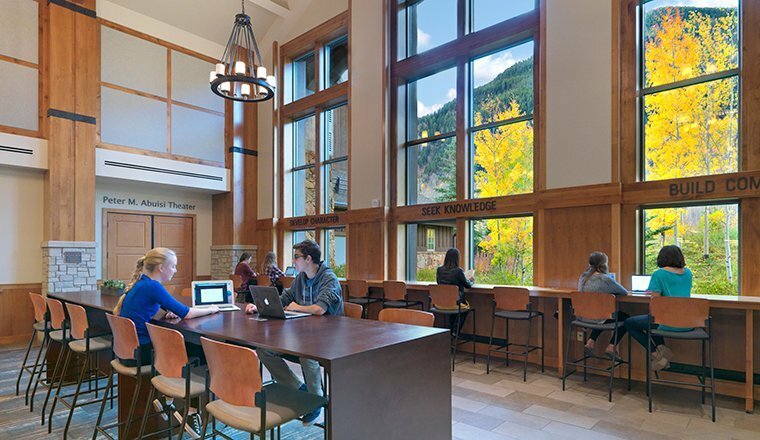 Answering the Severn School’s challenge to create a new facility that marries tradition and innovation, Hord Coplan Macht led a highly inclusive and collaborative planning and design effort to create the new Teel Academic Center. 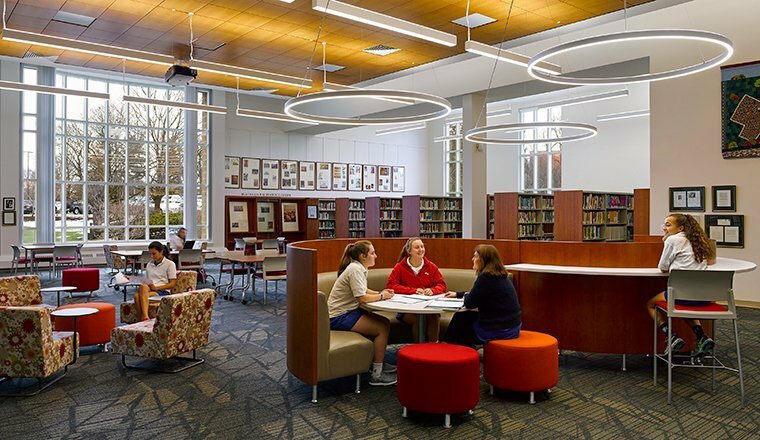 Replacing the original Teel Academic Center that was originally built as a dormitory 1969, Hord Coplan Macht worked closely with school leadership, faculty, students and alumni to design a fitting edifice for the school’s middle and upper school students. 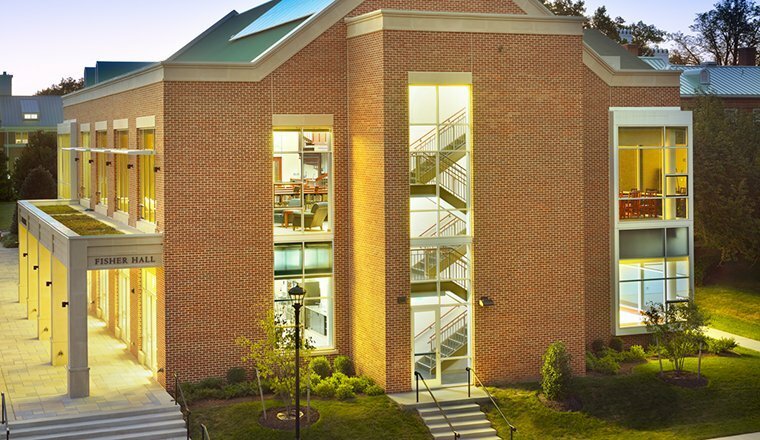 The new 55,000 sf Teel Academic Center has a clearly stamps itself as the center of the campus. 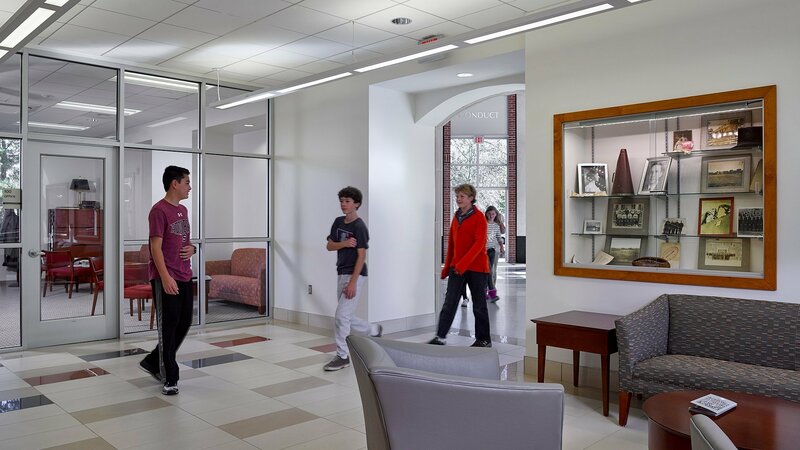 The door is marked by the Centennial Hall rotunda, which includes the inscribed name of each and every Severn School graduate. 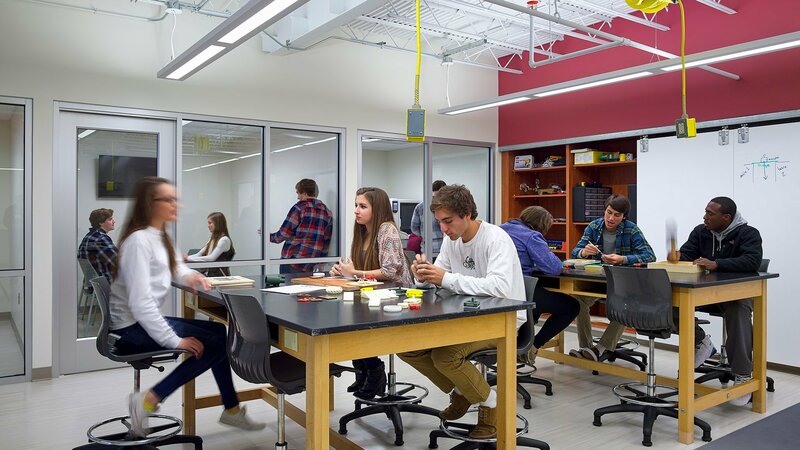 The new facility also contains upper school humanities classrooms and the school’s central administration functions, while the renovated portion contains all of the middle school instructional spaces. 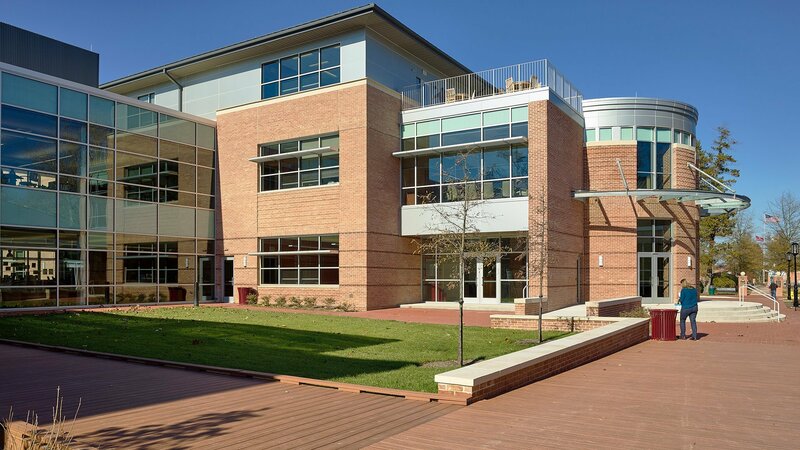 Located between two existing buildings, the Teel Academic Center fronts the main campus road and fields. 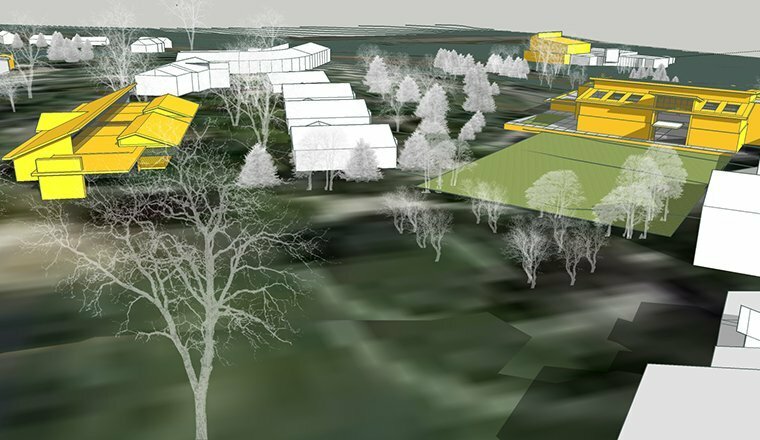 The rear of the site faces the water, with access to a series of outdoor environmental learning and activity features. 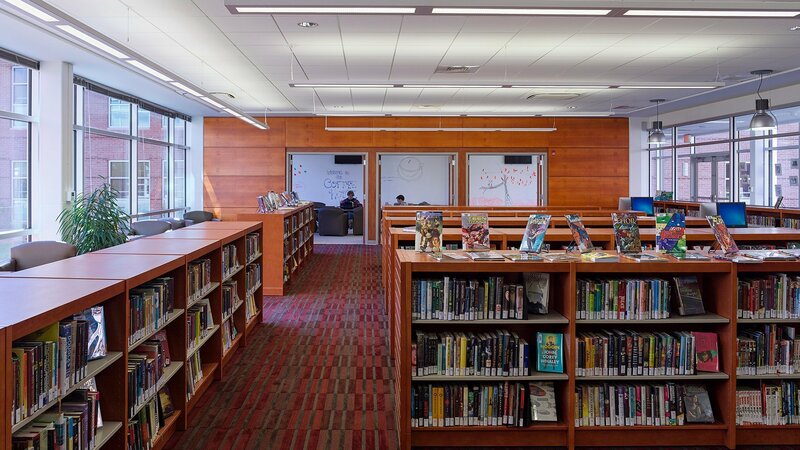 A careful balance of building and site was made possible by Hord Coplan Macht’s collaborative team of architects, interior designers and landscape architects led by Principal Peter Weinbrenner.